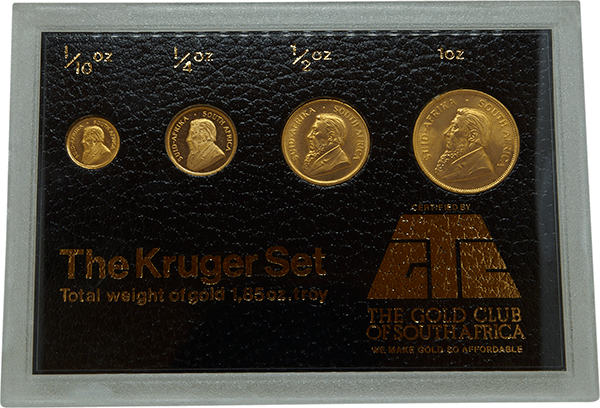 Named after the first South Africa’ first and only president, Paul Kruger, the Krugerrand was first minted in 1967 as a way of marketing South Africa’s gold worldwide. By 1980, it accounted for over 90% of the worlds gold coin market. Krugerrands are the oldest bullion coin for sale and, with over 50 million sold since production started, it remains one of the most popular bullion coins in the world. The design features the likeness of Paul Kruger on one side, and on the other is one of South Africa’s symbols, the Springbok gazelle. 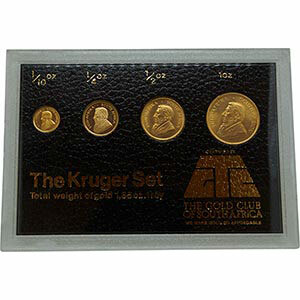 The Krugerrand set for sale with Gold Investments comes stylishly packaged and ready to become part of your collection.